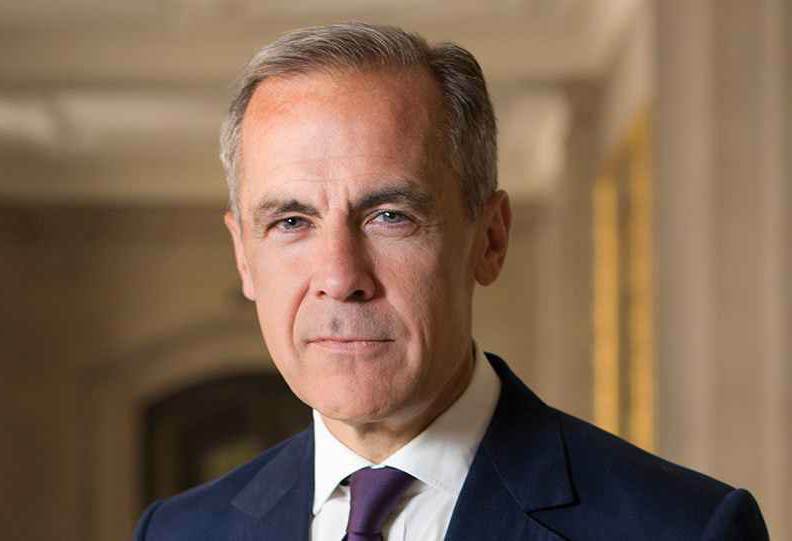 Insurance and reinsurance companies are on the “front line of managing the physical risks from climate change” and are now aware that “yesterday’s tail risk is closer to today’s central scenario,” according to Mark Carney, Governor Bank of England. Of course insurance-linked securities (ILS) funds and their investors are also on this “front line”, especially so given their largely property catastrophe and severe weather risk focuses. In a speech given yesterday at the European Commission Conference, Bank of England Governor Mark Carney highlighted the role of insurance and reinsurance companies in addressing climate change related risks as the global economy moves towards more sustainable finance. Carney expects that private sector finance will drive the shift towards more sustainable, low-carbon economies, but as this transition occurs policymakers also need to ensure the stability of financial markets. To achieve this the right inputs are required, with the “right information, proper risk management, and coherent, credible public policy frameworks” all key to a stable transition. Reporting risks is key here and Carney and the Financial Stability Board are still driving forwards the Task Force on Climate-Related Financial Disclosures (TCFD), which promises to deliver on disclosure of material climate-related financial risks at large companies around the world. Measurement of climate risk through this type of climate linked risk reporting is absolutely key, in helping to place the exposure at the feet of decision makers of major companies and there by encourage resilience, risk transfer and risk protection to be embraced. Supporting the TCFD disclosure initiative are, “three-quarters of the world’s globally systemic banks, 8 of the top 10 global asset managers, the world’s leading pension funds and insurers, major credit rating agencies and the Big Four accounting firms,” Carney explained. Firms managing close to US $110 trillion of capital therefore support a move towards reporting climate related risks, a significant groundswell of support that could make a significant difference if pressure is applied to others to disclose their risks. “As a consequence, the incentives for companies to disclose and manage climate-related risks have increased dramatically,” Carney said. But there are still steps to take to make the disclosures already happening more meaningful and to ensure they result in action. Chief among these is the fact that the financial implications of climate risk exposure are often not disclosed. It’s one thing to say you have exposure, detail what that exposure is, whether severe weather, sea level rise, temperature, or precipitation related, for example. But disclosing the potential financial impact to the bottom-line and to shareholders or investors is what will really stimulate action here. Momentum continues to grow behind these types of climate risk disclosures, but more work is needed to help companies understand the risks, measure them and quantify their potential impact. All areas the insurance, reinsurance and ILS market is acutely familiar with and the risk modelling companies of the world are adept at helping to make clearer. Carney highlighted that this is a case of learning by doing, as companies will become better at disclosure and measuring the impacts of the climate related risks they face the more they do it and the more traction these initiatives get in other sectors and particularly among technology firms. Mandated reporting of climate risk exposure and quantification of its cost would be a huge move, making the largest companies in the world tell their investors, shareholders and stakeholders exactly how much climate related risk they are bearing. Being climate risk, or the risks from a changing climate, much of this can be considered natural peril related. That’s not the gamut of climate risk, but it’s a significant component of it. If these large corporations report precisely how much impact rising temperatures could have, more severe weather could have, higher sea levels could have, and stronger storms could have, they would surely be encouraged to develop the risk management, financing and resilience plans to protect shareholder and importantly employee interests. resilience of firms’ strategies to transition risks,” Carney said. Carney calls for climate risk management to become strategic, rather than static. That could involve a constant process of risk assessment, quantification, management, resilience and risk transfer or financing to buffer the entities from loss. “As the supervisor of the world’s fourth largest insurance industry, we know that general insurers and reinsurers are on the front line of managing the physical risks from climate change. Insurers have responded by developing their modelling and forecasting capabilities, improving exposure management, and adapting coverage and pricing. In the process, insurers have learned that yesterday’s tail risk is closer to today’s central scenario. “Sadly with climate, history repeats not as a farce but as tragedy and with growing frequency,” Carney continued. The insurance, reinsurance and ILS industry is a leader when it comes to understanding, quantifying and managing their climate risks, it’s part of the day-job for that industry and therefore the rest of the economy has a lot to learn from it. Interestingly, banks are getting up to speed now as well, which has the potential to drive more risk transfer and insurance demand in the future. The weather and catastrophe risk that portfolios of property, investments and other assets face is an area of risk that has been largely unprotected in years gone by. Only now is the drive to manage our changing climate bringing these risks to the fore and the eventual result will be a need to demonstrate that these risks are managed and hedged against as well. This promises to require capacity, which insurance, reinsurance and ILS players will all have a role in providing. At some point a regulator, perhaps the Bank of England’s Prudential Regulatory Authority (PRA) will mandate that these risks are understood and removed from banks balance-sheets to a certain degree. Tolerances will be advised, whether to a return period of risk or a percentage of banks equity, or other measure, driving the need for risk transfer and financial protection against climate exposures. The need to run scenario analysis to evaluate the potential impacts a changing climate will have is clear, Carney explained. Again, it is only be understanding their exposure that the likes of banks and globally active corporations can work to manage it (including hedging or transferring it). The PRA is set to ask insurers in the UK next month to consider how climate transition and physical related risks would affect their businesses. That means more severe storms, temperature changes, sea level rises, and the like, will all have to be considered and modelled to establish just how they would affect an insurer or reinsurers business. The results will likely be telling, that re/insurers can cope under today’s scenario, but elevating temperatures and the resulting weather and climate impacts may drive stresses through re/insurers portfolios that would suggest more reinsurance and retrocession could be required, as climate transition continues. It’s all about establishing just how resilient our financial sector is to a transition to the 2C world agreed in Paris, as well as to any sudden climate related shocks. Avoiding a disorderly transition or the tail risk emanating within financial market and wider company results is clearly on the mind of regulators. “These long and short-term risks are, of course, linked – any overall misalignment with climate goals increases the short-term risks from a disorderly transition, possibly caused by extreme weather events or abrupt shifts in climate policy,” Carney said. Carney also talked about the establishment of investment markets related to climate, which does lead us to think that embedding the physical climate risk into products that also support resilience is extremely relevant here. The resilience bond initiatives, that seek to measure risk and embed resilience within catastrophe bond like structures, still seems an approach of value here. But the real opportunity to enhance resilience is to ensure that while risks may be better measured and understood, they are quantified to and action taken to transfer them where they are outside of expected tolerances. In insurance-linked securities (ILS) there is an established practice in turning risk into investment opportunities that can help and be learned from. Of course ILS funds themselves face the same realisation that the tail risk of yesterday may be becoming the norm as do insurers and reinsurers. This newly emerging marketplace needs to have risk transfer, insurance and reinsurance at its core, so the tail risks of today can be transferred to those better able to bear them tomorrow and in the future. While the insurance, reinsurance and ILS industry has shown its readiness for factoring in a changing climate and continues to evolve its view of risk in this context, there is more the wider financial market and business in general can learn. As re/insurance and ILS is also the source of expert capital that can best help to shift some of these climate related risks away from governments, business and the population.